Samir R. Nouh, Ahmed S. Korittum, Mohamed H. Elkammar, Wael M. Barakat. A survey study was made during the period between September 2010 and December 2012 on 2580 Friesian cows and heifers distributed in four army farms. This work revealed that, teat wounds represent the higher acquired teat affections (28.16 %) while teat papilloma represent the lowest affection (1.65 %). The supernumerary teat in this study represents the higher congenital teat abnormalities (36.8 %) while the lower was incompetent teat (1.5 %). The present study revealed that the prevalence of udder and teat affections were in November, December, January, and February, whenever the weather was cold and rainy and stables were muddy, the accidental injuries during milking, feeding or even laying were predominant and predictable. 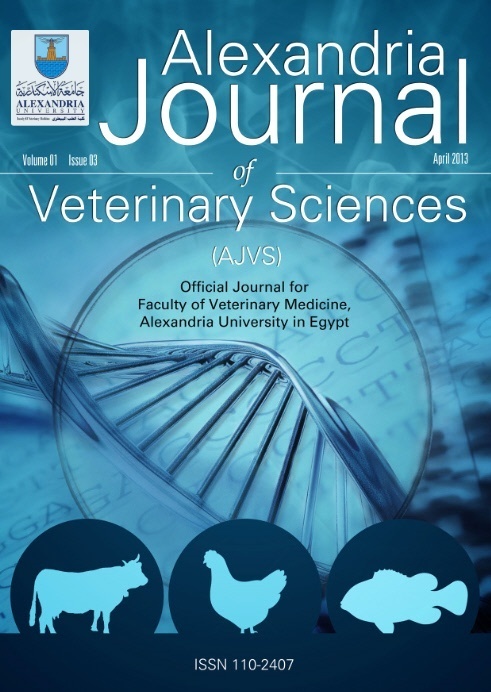 Abd El-Bary, A.A.G 2000.Surgical affections of the udder and teats in Friesian cows.M.V.Sc Thesis of Vet. Med. (surgery) Zagazig University. Banha branch. Blowey, R.W and Weaver, A.D 1991. A color Atlas of diseases and disorders of cattle publishing place London provider Nolfe chapter II, udder and teat disorders 177-188. Bristol, D. G. 1989. Teat and udder surgery in dairy cattleâ€“part I. CompendContinEducPract Vet 11:868-872. In David, W., Adrian, S., and Guy S. J. 2005.Bovine surgery and lameness.2nd edation. P: 158-167. Johnson, L. 1988. Mammary gland. In: Textbook of large Animal Surgery.2nd Ed. (ed.Oehme, F.W.) Williams and Wilkins.pp: 220-227. Mahdy,A.E.E. 1998. Teat surgery in dairy animals. Ph.D. of Vet.Med. (surgery), Zagazig University. Matzke, P., Holzer, A. and Denke, J. 1992. A contribution to the influence of environmental factors on the incidence of udder diseases. Tierarztl. prax 1992;20-32. Misk, N.A. 2008. Atlas of veterinary surgery 1st edition; page:304-313. Shearer,J.K. 2003. Non infectious lesions of the bovine teat;FolridaextentioncooparativeExtention Service, IFA Extention, Folirda University .DS66. Singh, J., Singh, P. and Arnold, J.P. 1993. The mammary glands. In: Ruminant Surgery (eds. Tyagi, R.P.S. and Singh J.) CBS Publishers and Distributors, New Delhi, India.pp:167-174. Thomas J. D. and Simon F. P. 2008. Rebhun's diseases of dairy cattle 2nd edition. pp: 327:357. Weaver,A.D. 1986. Teat Surgery Bovine surgery and Lameness. pp:141-149.BiackwellScientific Publications.